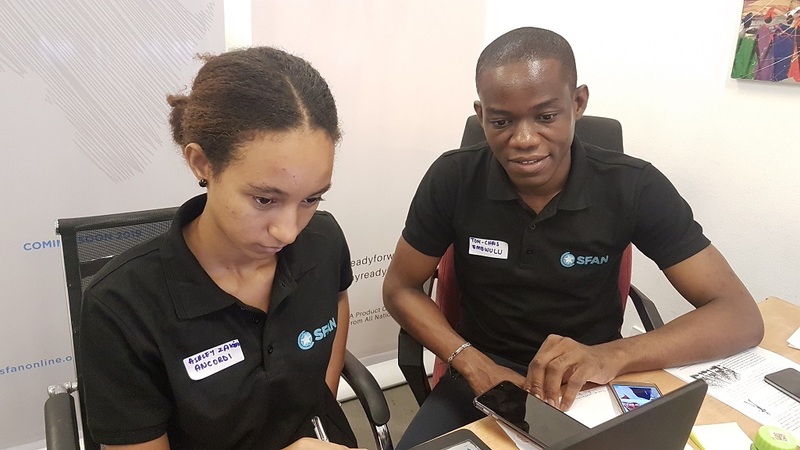 Millions of young Africans remain jobless due to lack of opportunities but in most cases many of them do not have the requisite skills for the job market. In a small room in Ghana’s capital Accra, a group of young people gather to talk about their strengths and weaknesses for the job market. A skill assessment session has just been held with the help of a career coach to help these young people know what is required in the world of work. Mentors and coaches at this skill assessment session identify areas these young people needed to improve to secure jobs or remain in their current jobs. Focus is also placed on helping them develop the right attitude for the job market. Gaining confidence and adding value to themselves are priorities also. The group behind this initiative is the “Stars From All Nations” (SFAN). Tom Chris Emewulu is the founder of the group and with his team holds periodic mentoring session for hundreds of young Africans. Emewulu told Africa Feeds that the aim of this project is to ensure that young people are ready for the job market with the needed skills. 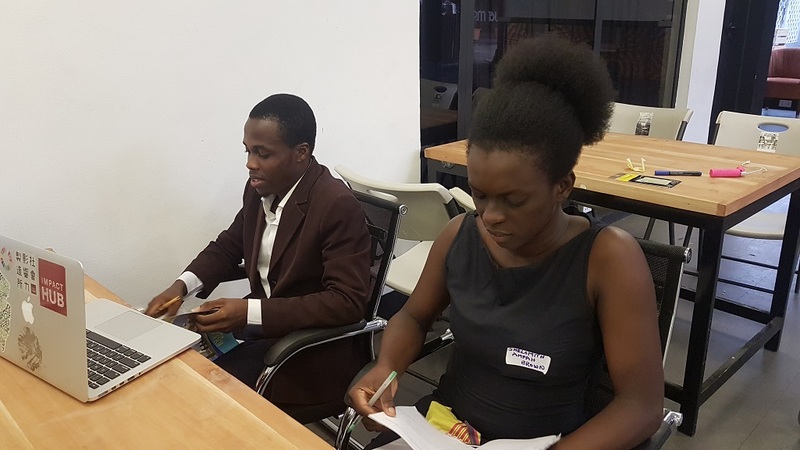 Tom-Chris Emewulu (R), founder of SFAN and Ashley Zakia Ancordi (L), Projects & Community Manager preparing for a mentoring session. Photo: Africa Feeds Media. At best helping young people also create jobs for themselves is crucial, according to Emewulu. “We are a social enterprise, and our goal is to bridge the gap between education and work. There is so much disparity between the number of jobs that are created for young people in Africa to compare with the number of people who are looking for jobs,” He said. Millions of young Africans remain jobless due to lack of opportunities. But in most cases many of them do not have the requisite skills for the job market. African governments are struggling to deal with the issue which is now an economic crisis. According to researchers at Ghana’s Institute of Statistical, Social and Economic Research (ISSER) some 30 million people will be jobless this year in Sub-Saharan Africa. Majority will be young people who lack the needed skills. Emewulu’s group is not only mentoring young people but linking them to available jobs and internships opportunities. Shelomith Ampah-Brown is a third year student in a Ghanaian University. She is desperate to secure a job when she completes school. Undertaking this mentoring training is key since her university provides very little in this area. Ampah-Brown doesn’t want to end up like some of his friends roaming without jobs. “I am not working, I am a student but I know some of my friends who have completed school and they are finding it very difficult to find a job and I think it is because of the fact that we are not able to know these little skills. That is what is setting them back,” Ampah-Brown said. There are many young people like Ampah-Brown who will be left frustrated after school should they not get the needed guidance. SFAN already is showing the way with some success stories. Prince Dogbe who benefitted from the mentoring program now has a job. He says he developed the right attitude towards work after the program. “So after school I decided to develop my abilities, build capacity to be able to thrive in the corporate world. And it was through this that I got in touch with SFAN. And that was a game changer for me because it gave me the opportunity to sit down and put together a plan for myself,” Dogbe said. The skills Dogbe developed from the mentoring program is keeping him in his current job. The Projects abd Community Manager for SFAN, Ashley Zakia Ancordi has been involved in organizing the mentoring sessions. Ancordi says SFAN will not relent in it’s efforts in helping many more young people in Africa. But there are millions still without such opportunities across Africa. Extending the program to other countries is challenging due to lack of funds. Tom Chris Emewulu is hopeful for the future. But Emewulu said there will be no stopping his group from reaching more young people in the coming years. 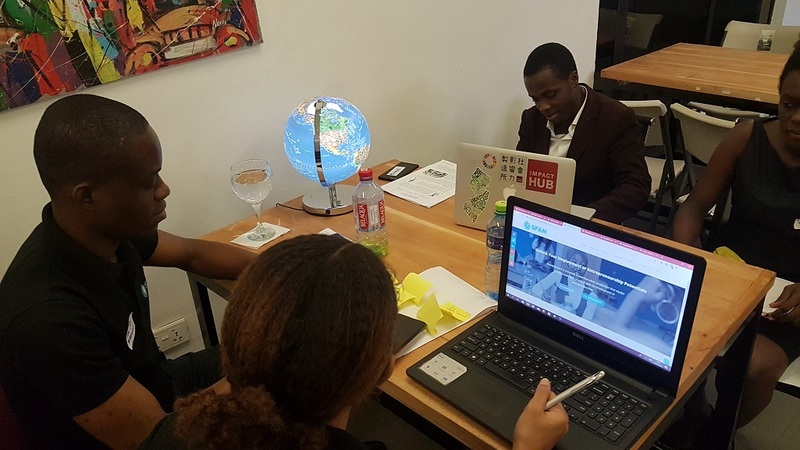 “We are going to reach out to a huge network of young people but the most important thing for us beyond reaching out to young people is to give them the access and the opportunities to turn their passions into businesses or careers,” Emewulu said. The job market globally is constantly changing and getting more sophisticated. Concerns also continue to grow about the kind of education young Africans get from schools. Mentoring and empowering programs like the one Emewulu and his friends are providing, could give hope to many young people.